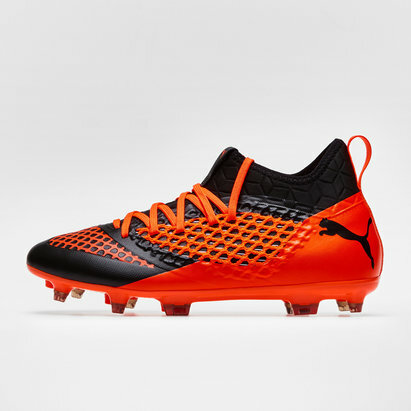 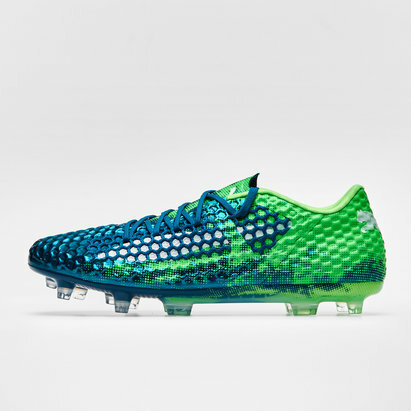 The Future 2.2 Netfit Mx SG boots will take your game to the next level in a stunning manner. 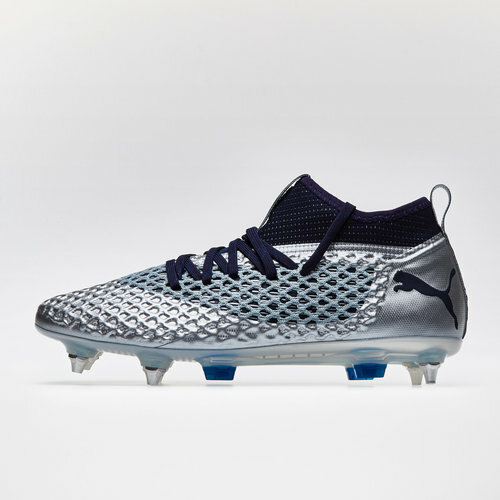 The Future 2.2 football boots by Puma combine Netfit 2.0 upper technology with a form-fitting textile base material and an elastane ankle sock. 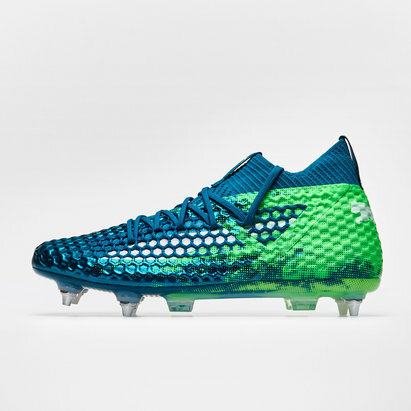 This new generation of football boot gives the wearer multiple options to customise the fit to their personal needs and satisfaction. 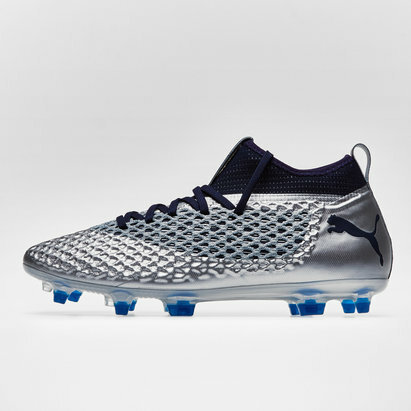 The ankle collar sock gives a supportive and snug fit whilst having ultra-lightweight and flexible hybrid outsoles which allows you to play on soft, natural grass. 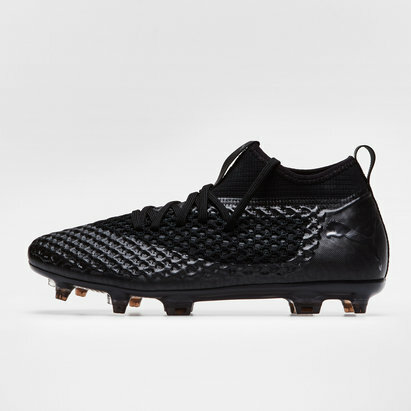 These boots come predominantly in silver with some peacoat colour detailing to finish off these modern boots for the modern footballer. 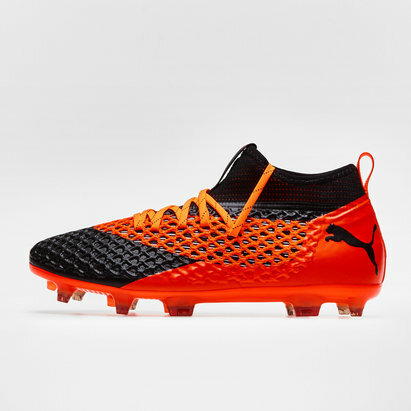 These boots are customed with the Netfit 2.0: PUMA silver net lacing technology for infinite lacing options and optimal fit. 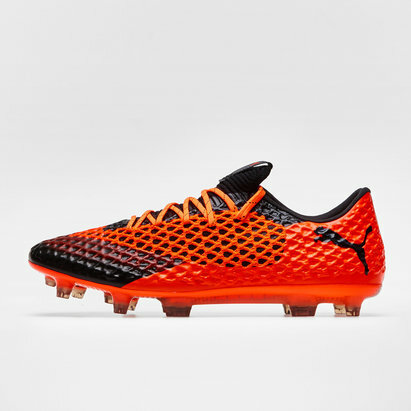 Described as being perfect for all types of footballer whether that be the goal machine, the showboater or the speedster.